Were you looking for Implantes de Cadera Defectuosos lawsuits? Hip replacement lawsuits have been filed due to early failure of certain hip implants used in the procedure. Metal-on-metal hip replacement systems have reportedly caused pain and other side effects, often requiring revision surgery. Defective hip implant lawsuits have been filed against various manufacturers and distributors by patients alleging hip replacement failure. While many hip replacement lawsuits have been settled, attorneys are still investigating and filing defective hip complaints. Send your Defective Hip Implant claim to a lawyer who will review your claim at NO COST or obligation. Hip replacement devices are expected to last between 10 and 20 years. Some newer-generation hip replacement devices, however, have been linked to a higher failure rate in a shorter time. A number of devices have failed within five years and some within just 18 months. In most cases, the high failure rate has been blamed on metal-on-metal (MOM) components, while other complaints have been attributed to fractures near the device, loosening of the device, instability due to joint dislocation, metal debris being absorbed by the patient's tissue and unusual wear and tear. These hip replacement failures have led to thousands of patients needing hip revision surgeries, which can cause its own set of complications. The FDA classifies metal-on-metal hip systems as Class III (higher risk) devices, but the agency regulates them under the 510(k) premarket notification program. The program allows companies to get their products on the market without rigorous testing if they are similar enough to an already-approved product. 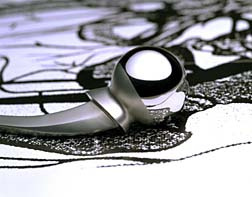 One of the biggest concerns about hip replacement devices revolves around metal-on-metal hip replacement systems, in which a metal ball (the femoral head), a metal femoral stem and a metal cup are used to make up the device. Metal components of the “ball-and-socket” grind together with movement. Over time, this can cause metallosis, where tiny bits of metal accumulate in the hip joint and get into the bloodstream and resulting in tissue damage and systemic toxicity. After MOM hip implants were approved via the 501(k) process the devices were found to express small amounts of metal and metallic residue through wear, causing inflammation of surrounding tissue and introducing metallosis, which is highly toxic. The Daily Telegraph (April 2016) released documents proving that at least one company, Johnson & Johnson’s DePuy Orthopedic unit, was aware of these problems for decades and did not warn surgeons or patients. The company chose instead to market all-metal hip replacements toward younger and more physically active patients, telling orthopedic surgeons that the implants would last longer and be more durable. DePuy Hip Replacement Failure Thousands of people who received DePuy Orthopaedics’s ASR and Pinnacle hip implants accuse the company of failing to warn patients of the risks of metal-on-metal hip replacements. The DePuy Orthopaedics ASR hip replacement system is a metal-on-metal hip replacement device. The ASR XL Acetabular System was recalled in August 2010, amid reports of a higher than normal failure rate. Among the issues allegedly linked to the DePuy ASR XL was the releasing of metal particles that came off the device and entered into the blood stream, causing problems with the nervous system and heart, and potentially causing cobalt poisoning. Furthermore, the metal particles could cause damage to the bone and/or tissue surrounding the implant, which could result in loosening of the implant. The DePuy Pinnacle is a hip implant system that allows the surgeon to determine whether the liner inserted in the cup is metal, ceramic or polyethylene. The Pinnacle is linked to a high failure rate due to the stem loosening and falling out of the cup. DePuy Hip Implant Lawsuits and Settlements In November 2013 Johnson & Johnson settled more than 8,000 lawsuits for $4 billion. In March 2015, DePuy extended the settlements to cover an additional 1,800 claims, with an additional cost of $420 million. After DePuy ASR lawsuits were filed, the company’s own test results showed that they knew the 5-year failure-rate, which resulted in the recall, was actually 40 percent. Nearly 10,000 lawsuits have been filed by people who were injured by the DePuy Pinnacle, an all-metal hip implant that was not recalled. Johnson & Johnson and its subsidiary Depuy Orthopedics in December 2016 was ordered by a Dallas federal jury to pay more than $1 billion in damages to six plaintiffs. Another jury awarded $502 million to five people in March 2016. DePuy lawsuits involving its Pinnacle hip implants are still being filed. One case involving 10 plaintiffs is scheduled to begin in September 2017. Zimmer-Biomet Hip Implant Failure Sales of the Zimmer Durom Cup were suspended on July 22, 2008, due to issues with the surgical technique instructions. At the same time, Zimmer reported that problems with the hip post surgery required revision up to 5.7 percent of the time. Biomet Hip Replacement Failure (Zimmer bought Biomet in 2015) Biomet hip replacements are metal-on-metal implants that were allegedly linked to a high failure rate, possibly due to metallosis (metal poisoning, caused when metal debris is absorbed by the patient's tissue). As of March 2017, Zimmer had sold about 148,000 of the M/L Taper Hip Prosthesis with Kinectiv Technology (MLKT) hip replacements nationwide. It is comprised of multiple components, including a cobalt-chromium head and a titanium neck and stem. Attorneys investigating Zimmer Biomet hip lawsuits claim the MLKT implant’s combination of metals creates a risk of generating metal debris that can lead to metallosis (metal poisoning). Zimmer is also accused of inadequately testing the device for safety. Zimmer and Biomet Hip Implant Lawsuits and Settlements Zimmer settled most of its Durom Cup lawsuits in March 2016 for an estimated $314 million. As of March 2016, there were 466 cases still pending in the Multi-District Litigation (MDL). In March 2017, a judge in New Mexico ordered Zimmer Inc. to pay $2 million to a man who was injured by a Zimmer Kinectiv hip implant system. The plaintiff suffered metallosis after hip implant surgery with the M/L Taper Hip Prosthesis with Kinectiv Technology (MLTK) and a cobalt-chromium head in 2010. He required a second revision surgery in 2011. A Biomet lawsuit was filed in 2012, alleging its M2A Magnum metal-on-metal hip replacement system failed too soon after being implanted. The lawsuit alleges the device was defectively designed and caused metallosis. By January 2015, all the M2a Magnum cases were settled for $56 million. Biomet settled all of its M2a Magnum cases for $56 million in January 2015. Smith & Nephew Hip Implant Failure Smith & Nephew is facing numerous complaints involving its Birmingham Hip Replacement (BHR) and R3 metal-on-metal hip replacement systems, alleging premature failure of the metal-on-metal hip implant devices. In November 2016 Smith & Nephew initiated a voluntary recall of its Modular Neck Hip Prostheses of the Modular SMF and Modular REDAPT Revision Femoral Hip Systems and associated stems for the devices. The FDA also issued a recall of Smith & Nephew's Tandem Bipolar Hip System on Nov. 3, 2016 due to defective retainer grooves on some of the devices. The manufacturer took the BHR device off the market in June 2015 due to similar high failure rate. Smith & Nephew Hip Implant Lawsuits and Settlements In January 2017, a woman in Texas filed a hip implant lawsuit claiming that she had a Smith & Nephew Birmingham hip implanted in 2007 but the device failed prematurely, she developed metallosis and had to undergo revision surgery. The hip implant lawsuit also alleged that Smith & Nephew failed to meet post-marketing surveillance and reporting requirements designed to make sure that the hip replacement system was safe and effective. On Feb. 1, 2017, plaintiffs allegedly injured by Smith & Nephew Birmingham Hip Resurfacing (BHR) and R3 hip replacement implant failure filed a motion to consolidate 31 pending BHR and R3 lawsuits under one judge in a Maryland federal court. Stryker Hip Implant Failure In July 2012, Stryker recalled its Rejuvenate and ABG II modular-neck stems from the market due to reports of fretting and corrosion. In the majority of cases, the Stryker Rejuvenate hips were failing within five years and some within just 18 months. Although Stryker had returned to marketing more traditional materials such as ceramic after MOM models failed, the metal neck and stem was found to emit metallic debris under some conditions through wear, resulting in similar problems faced by full metal-on-metal devices. Stryker Hip Implant Lawsuits and Settlements Stryker settled most of its hip implant cases in 2014, with an agreement totalling about 1.4 billion. In December 2016, the settlement was extended to cover additional plaintiffs. State-based Stryker lawsuits in June 2017 were consolidated in New Jersey against Howmedica Osteonics Corp., a subsidiary of Stryker Corp., involving its LFIT Anatomic Cobalt Chromium V40 femoral heads. Federal defective hip implant lawsuits were consolidated in federal court in Massachusetts in April 2017. Wright Hip Implants Data from the Australian Joint Registry found that the Wright Profemur Z hip implant, manufactured by Wright Medical Technologies (based in Arlington, TN), was associated with an 11.2 percent failure rate at the three year interval. According to the registry report, the femoral neck of the Wright Profemur Z hip system fractured and broke in the patients, causing pain and potentially resulting in permanent physical damage. 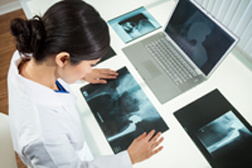 Wright Profemur Hip Implant Lawsuits and Settlements In 2015 a jury awarded $11 million in defective products class action lawsuit against Wright Medical Technology. In 2016 the amount was reduced in punitive damages from $10 million to $1.1 million. The court let stand the $1 million award for compensatory damages. In November 2016, Wright settled 1,292 claims involving its Conserve, Dynasty and Lineage implants for $240 million. There were 586 cases pending in the Georgia MDL in March 2015. As of March 2017, more than 13,000 metal-on-metal hip cases are still pending in multi-district litigations (MDLs) across the US. Most of those cases are expected to be resolved through settlement agreements. However, hundreds of people not covered by the settlements are still waiting for their day in court. And hip implant attorneys are still filing lawsuits. If you have had revision surgery to replace defective hip implants, you may be eligible to file a lawsuit. DePuy Canada alleging defective product recall of ASR hip implant for health reasons. DePuy Metal Hip Replacement alleging defective product recall of ASR hip implant for health reasons. Houston, We Have a Problem with DePuy ASR Hip..
Tracking Systems in the U.K Key to Care for H..
my mom had a hip replacement year 2005, she later had a femur fracture on the same side, could the hip replacement have been the cause? I had right hip replacement in June 2014.told the surgeon something was not right. I didn't have insurance, still don't.I live in pain everyday. My hip rolls around, pops, even bulging out far enough, it's noticeable with my jeans on. You can clearly see it is dislocated. I owe my surgeon, he refuses to see me.He saw me for 3 months after the surgery. I was told his job was done. Have called and called, trying to get him to help me. Been to the ER a bunch! They tell me to go to the surgeon. And it is definitely a hip replacement failure. What do I do?I can't get pain meds.Some days, I just want it to end, the pain is unbearable. Both my hips have been replaced 2009 2010 my left pops when I walk, my right hip area is very pain full low right back.